Southerly view over the Ilulissat Icefjord toward the sunrise, standing at Seqinniarfik. Photo taken: 13 Jan 2016. 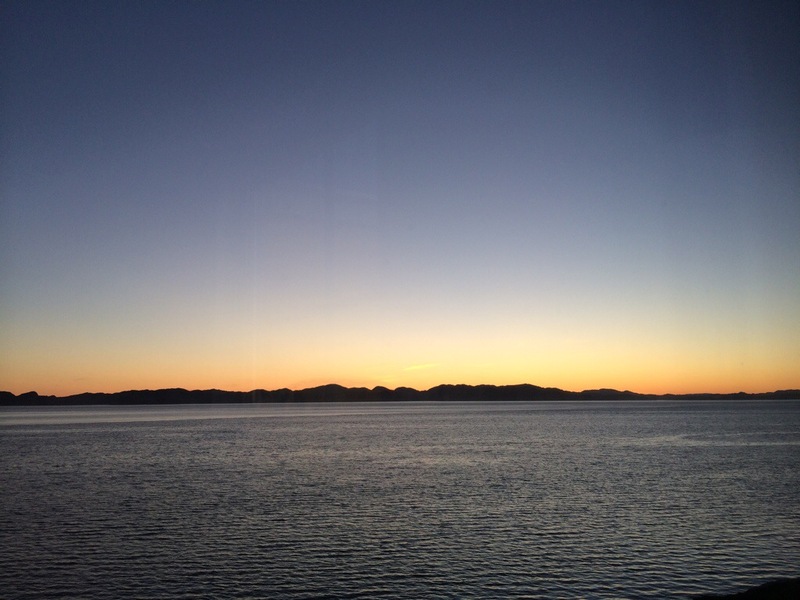 Yesterday the sun rose above the horizon in Ilulissat for the first time in six weeks. Do you remember where you were or what you were doing on 30 November last year? Probably not; it feels so long ago. Now imagine that you have not set eyes on the sun – the very thing you’re taught not to look directly at – since that day. Needless to say, there’s a bit of a celebration in Ilulissat to bid the sun welcome back. Schools and offices close early, and everyone trudges in one way or another out to a viewpoint called Seqinniarfik in the UNESCO World Heritage Site to watch the sun come up over the mountains on the south side of the Ilulissat Icefjord, take a small skip across the sky, and go down again a mere 52 minutes later. I joined the masses out there on the hill and was so happy the share the time surrounded by people. 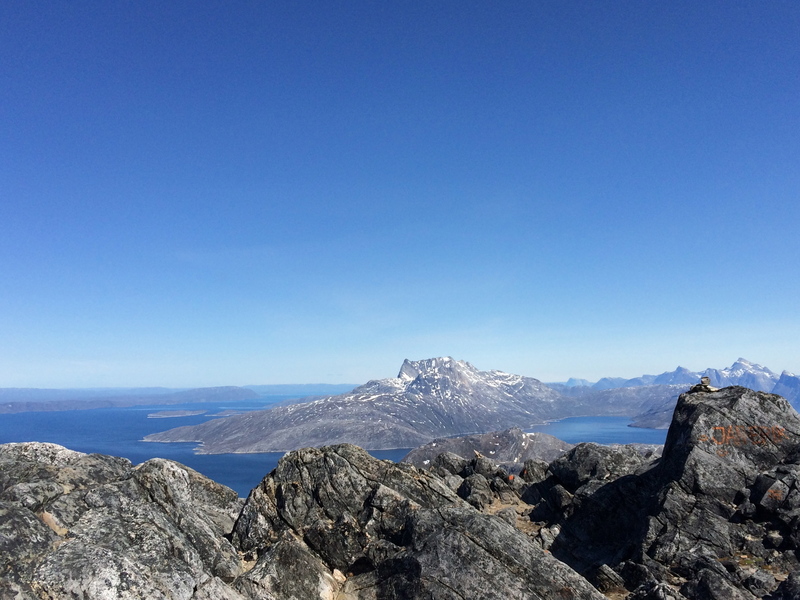 Much like most of my experiences in Greenland, it was an instant renewal of my appreciation for the country and a reminder about these 4 things I’ve come to learn about Greenland over time. A nicely-plowed plank boardwalk all the way from the road up to Seqinniarfik could have been a dream, but this is Greenland, where even a well-defined sidewalk in town is sometimes too much to ask. The route to Seqinniarfik was through sled dog territory and over natural terrain, perfectly easy to clear in summer but slightly challenging in winter conditions. The snow was crunchy sheets that didn’t always hold my weight, sending me sinking into knee-deep snow beneath. The high winds of the last two weeks continued and were so strong at my back it gave me a pressure headache and made me dread having to walk into the force on the way home. I didn’t dare to grab my camera out of my pocket for fear of either dropping it or, much worse, having one of my precious sealskin mittens blow away in the midst of a juggling maneuver. Of course, I did dare because I just had to take a picture, but after even just a few minutes with gloves off, your fingers start to lose mobility to even press the shutter button. Then you have to make the really difficult choice between ‘getting the shot’ (or taking a selfie, let’s be honest) and feeling like you might lose an index finger. All mittens stayed thankfully in my possession but the minus temperatures rendered both my iPhone and digital camera frozen in place after a mere four or five times coming out of my pocket. No, it’s not always a piece of cake to get out into the Greenlandic nature in winter, but it sure is worth it once you’re there. Seqinniarfik selfie. At the top. Photo taken: 13 Jan 2016. 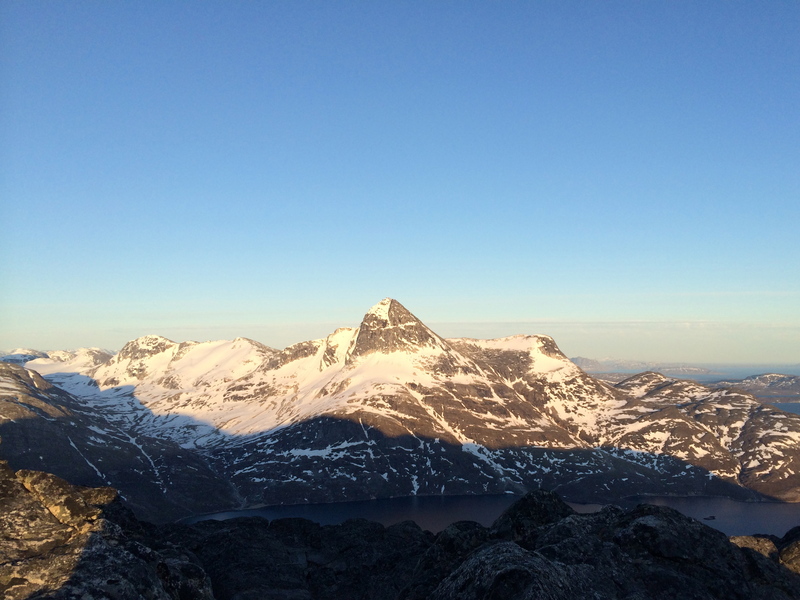 Sometimes you can sit looking at the Greenlandic landscape and you could just cry. I have said this myself, and I have heard tourists say it, too. It is a natural reaction when you have so many impressions and feelings swirling around in your body that can’t get out in a normal way with thoughts or speech. Instead, they jump out themselves in a most physical manner. This country is breathtaking and incredible. The nature is pure and raw and strong and powerful. In pictures I have seen other places that the world calls beautiful, maybe because they are colorful or peaceful, and I always think to myself, ‘Did those places challenge people’s willpower, make them stronger, and generally put humanity to the test?’ To me, that is beauty. Greenland is not beautiful despite its extreme conditions. It is beautiful because of them. If someone had a mere single breath in him or her, they made an effort to reach Seqinniarfik, it seemed. It was not only the young school kids skating around in their high top sneakers on the icy rocks and holding their thin jackets overhead like sails in a summer breeze. Not even poor physical condition could keep some people away from the hill. I saw older people out there walking through the snow at a pace of maybe two kilometers an hour, one foot in front of the other, but determined nonetheless to see the first sunrise in six weeks. I even saw a woman on her motorized scooter at the end of the road waiting, hopefully, for someone to pick her up on snowmobile. One could imagine they have done this every year for their entire lives. One could imagine this was maybe one of the few times they got out into the nature anymore. I have heard tourists speculate sometimes that Greenlanders probably forget how fantastic the landscape is since they see it day in and day out, coupled with their observation that Greenlanders rarely exclaim “Oh my gosh! How pretty!” and “Look at that!” toward things a tourist definitely would point out. 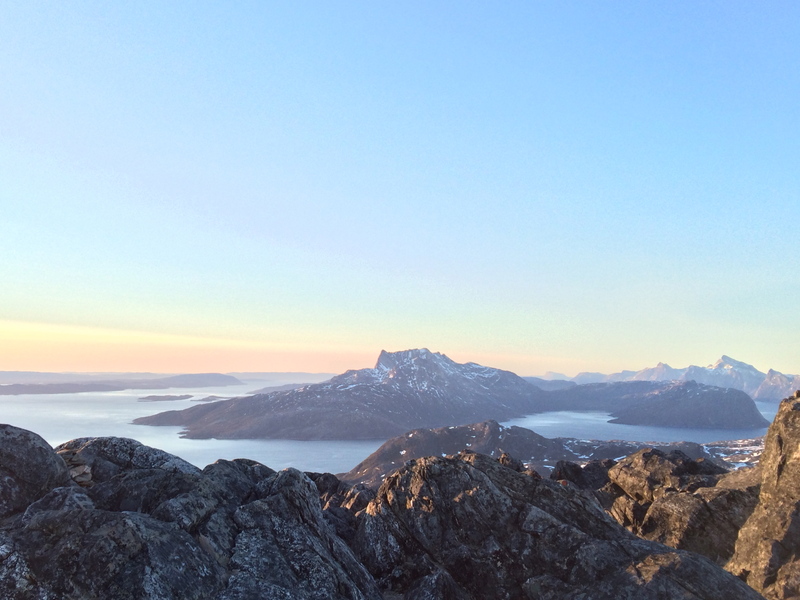 On the contrary, living close to and appreciating the nature is an innate element of Greenlandic culture. Regardless of whether one is in the biggest city in the country or in the smallest settlement, the nature is always there and always central to life. Greenlanders can be a people of few yet profound words, hence the lack the exclamations, and my own friend explained this very phenomenon in exactly this style. View over Ilulissat. Photo taken: 13 Jan 2016. That’s a phrase that can be used to describe a lot of things in Greenland. In the Arctic, certain climate, environmental, and infrastructural facts of life just make some things more challenging. But not impossible. This morning I read online at KNR (Kalaallit Nunaata Radioa / Greenland Broadcasting Corporation) that two American tourists were especially impressed by the golf course at Nuuk Golf Club, and I just couldn’t resist re-posting here. Who wouldn’t love to tee off surrounded by the iconic mountains in Greenland’s capital city? It is these small elements which surprise people and make Greenland special. And if you can believe it, there even used to be the World Ice Golf Championship in Uummannaq, Greenland which Steve Rushin, a Sports Illustrated writer, wrote into history when he included a chapter about it, called “Winter Rules,” in his 2007 book, “The Caddie was a Reindeer: And Other Tales of Extreme Recreation”. This morning’s article, written by Apollo Jeremiassen, is originally published in Greenlandic and Danish here, but I’m providing my own English translation below so you all can read it, too. By Apollo Jeremiassen. 16 July 2015. As as foreigner or tourist it is hard to imagine that a golf course can be found so close to the Arctic Circle, like in Nuuk. But two American tourists are impressed that they found such a hard and unique golf course. The two American tourists, from California and New York, played at Nuuk Golf Club this past Monday. 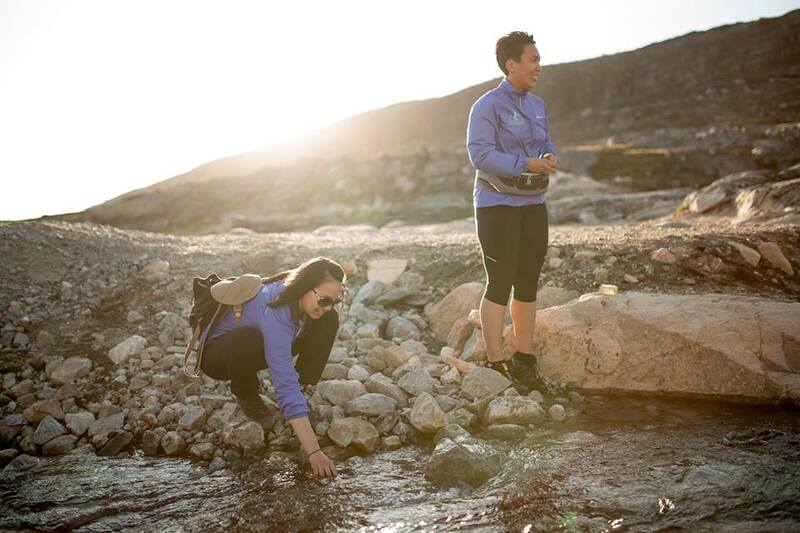 Tourists from all over the world want to see and experience Greenland in many different ways. 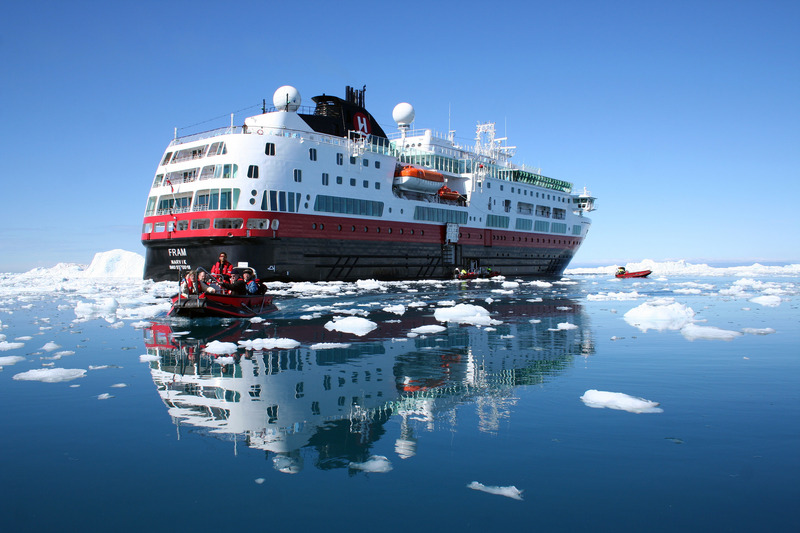 Some want to see icebergs that drift slowly in the mirror-like sea where, every once in a while, whales come with an enormous blow in the vicinity of large cruise ships with thousands of passengers on board. But others want to play golf. One golfer was American David Bandley from Los Angeles, California, who has his own plane for transport when he goes to meetings in different places in the world. His handicap is around 10, which is pretty nice for an older American man to have. He thinks it is totally great that a golf course can be found so far north. 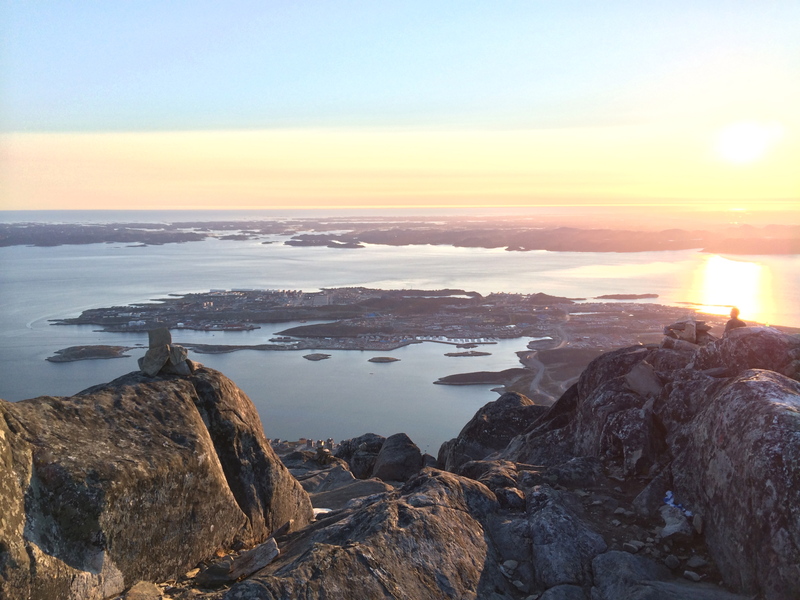 “When you think about the fact that you are so close to the Arctic Circle, it is just fantastic that a golf course can be found in Nuuk. I really enjoyed playing here, and you all can be proud to have a beautiful golf course such as this one”, Bandley says. The other golfer was Mike McKaskey from New York, who says that Nuuk Golf Club’s course is totally different than those he typically plays on in USA. “This one is totally different and difficult to play on because there are lots of rocks around the course. But you all must watch out now. Now I will be able to beat you,” McKaskey says. And, Bandley says just for fun, that he will be the all time winner for the Greenland Open. “I will win. I will win the Greenland Open for golf!” he says. 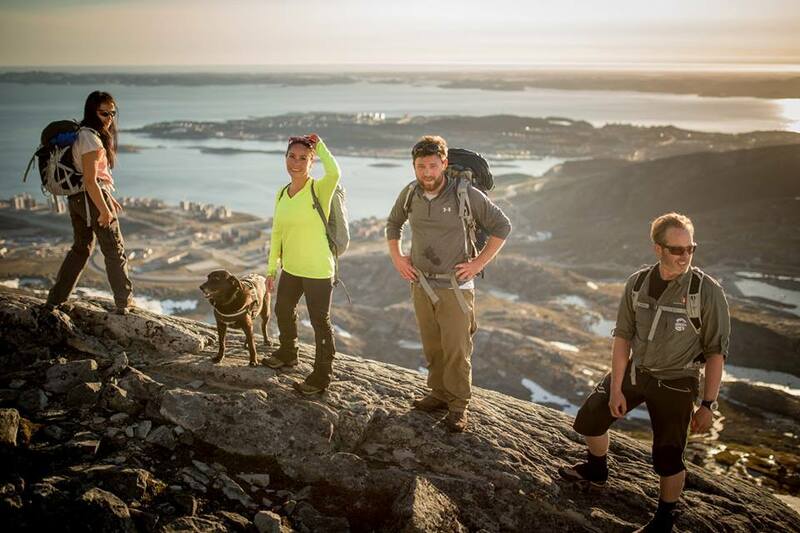 Henrik Skydsbjerg of Tupilak Travel, who arranged the golf trip, tells KNR that after Tupilak Travel has worked with tourists for the last 8 years, it is only this year that they could first notice an increase in tourists in Greenland. Air Greenland Bell212 helicopter on route flight in Illorsuit, Greenland, 71*N (2013). In most places around the world (so I imagine), helicopter flying is pretty rare as car, bus, or train transport has become the easiest/cheapest/fastest way to cover relatively short distances. 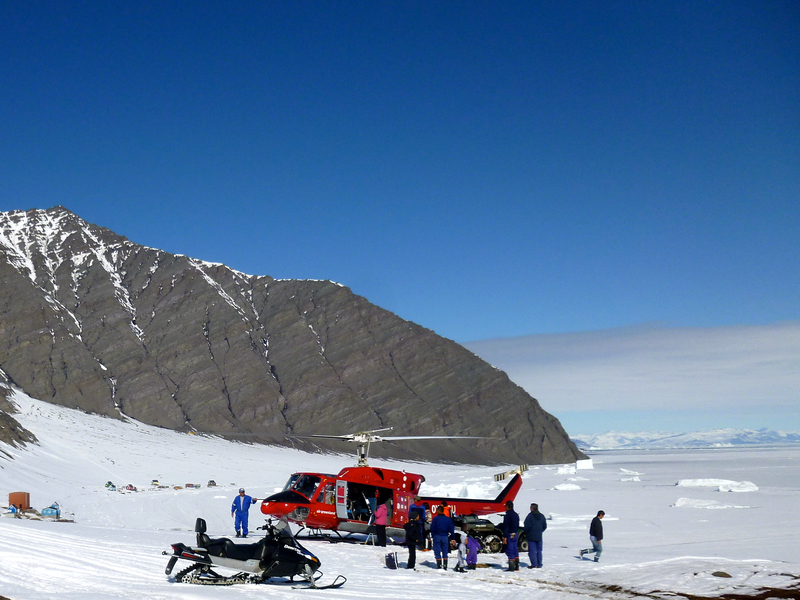 But it is for this exact reason that, in Greenland, transportation by helicopter is a way of life! With no roads between any of the 70+ inhabited towns and settlements, helicopters create the Greenlandic highway – in the sky!! And since we have the machines at our disposal, why not give them double-duty and use them for tourist flights, too?! You would be amazed by how much more detail one can see from a helicopter than from an airplane. 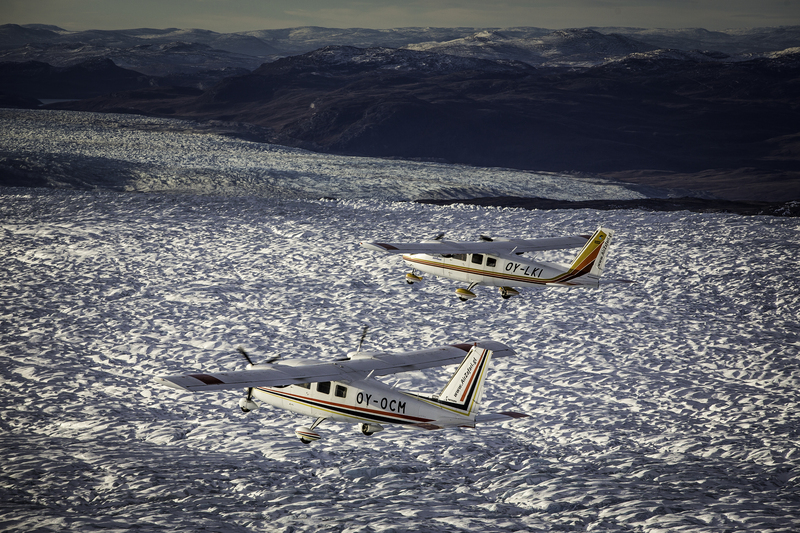 Read more of what I wrote in Helicopter Flying in Greenland, an article in this month’s Visit Greenland Newsletter. Like what you see? 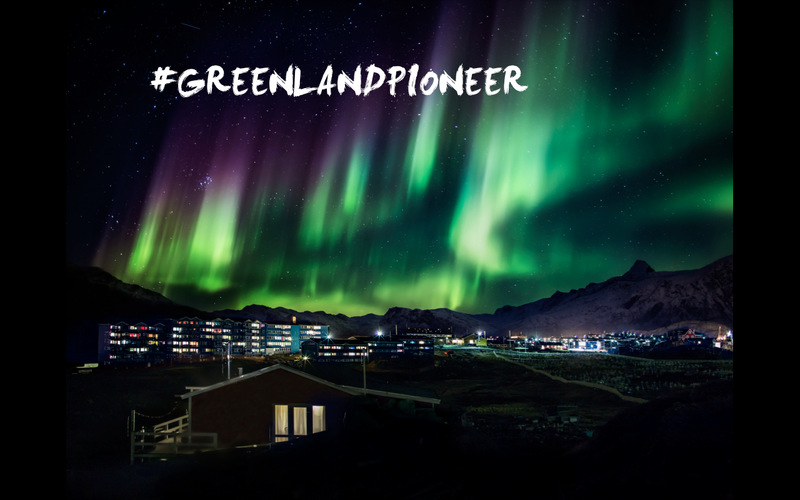 You can sign up free to receive our Visit Greenland Newsletter every month!